Black Friday took on new meaning for Jay Johnson of Owatonna, Minnesota, after what was supposed to be a routine colonoscopy in November 2012. "My wife, Wendy, went in with me, and I felt good," he tells the Owatonna People's Press of his visit to Mayo Clinic Health System in Owatonna. "We had no concerns at all." That changed, however, when his doctor came back into the room with the results. "He said, 'We have some concerns. We found a tumor,'" Jay tells the newspaper. "It didn't really hit me what he was talking about." His doctor took a biopsy of the tumor and sent it to Mayo Clinic in Rochester for testing. The results came back the day after Thanksgiving. As the rest of the world was out shopping for the holidays (or studiously avoiding it), Jay Johnson got a call from his doctor who told him his tumor was cancerous. "It totally hits you like a ton of bricks," Jay says. "I remember asking him, 'Can I survive this?' He said, 'Yes, you can survive this.'" He knew succumbing to his fears wasn't going to do him any good, so Jay jumped in head first, beginning a series of radiation treatments at Mayo Clinic. "I had 28 treatments of radiation," he says. "It was every day … for four and a half weeks." Next came surgery. "They took out, I believe, 12 inches of my colon, and they removed 42 lymph nodes," he tells the newspaper. "It was a long surgery, and I was in a lot of pain." It was pain Johnson would have to live with until doctors at Mayo were able to reconnect his colon, after eight sessions of chemotherapy. "It was a long haul," he tells the paper. "But you do what you got to do to get things going in the right direction." And going in the right direction they are, as the paper reports Johnson received a clean bill of health when he returned to Mayo earlier this month. "It was good news," he says. "My tumor was gone, my cancer marker was low. Right now, things are looking good." So good, in fact, that he says if things continue to hold through August, he'll be considered to be in remission for one year. And to celebrate, he'll be sharing his story, and his encouragement, with others as an honorary chair of a local Relay for Life event on July 18. "I feel very honored and humbled," he says. 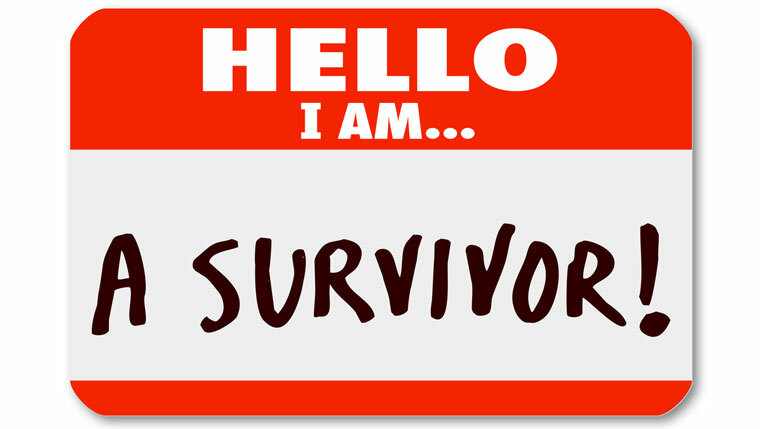 "but yet I'm excited to tell my story because I am a survivor." Help us stay positive by sharing your comments, and this story, with others.